This Mini AV/CVBS to HDMI converter is a universal converter for analog composite input to HDMI 1080p (60HZ) output. It can transfer AV (CVBS) composite video signal and FL/FR stereo audio signal to HDMI digital signal. It can upscale analog video signal from the converter. It has low power consumption and you do not have to install drivers. 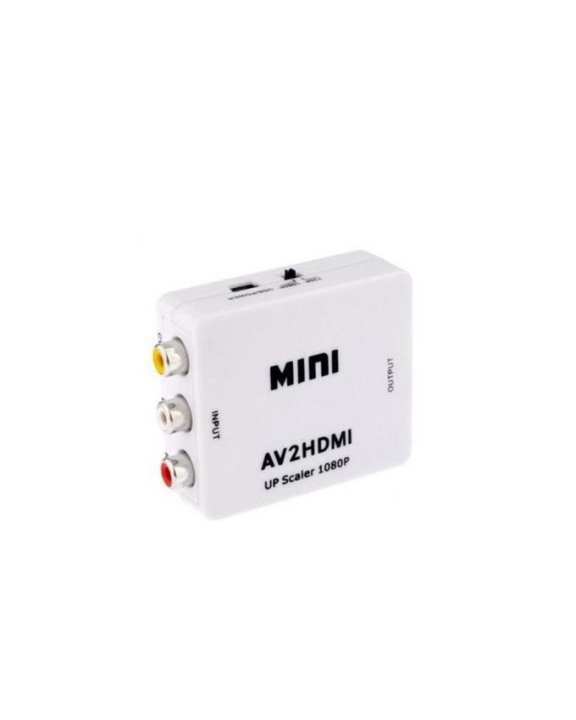 It is available at a reasonable price so, order online at daraz.pk and get delivery at your doorstep.This Mini AV/CVBS to HDMI converter is a universal converter for analog composite input to HDMI 1080p (60HZ) output. It can transfer AV (CVBS) composite video signal and FL/FR stereo audio signal to HDMI digital signal. It can upscale analog video signal from the converter. It has low power consumption and you do not have to install drivers. It is available at a reasonable price so, order online at daraz.pk and get delivery at your doorstep.